Headline-World immortal' Stone Love will celebrate 38 years of stardom on Saturday December 18. 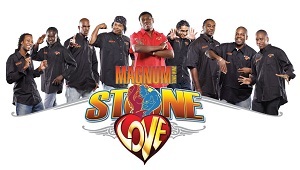 Having dominated the music world and the party scene for years, Stone Love moves New Kingston to Portmore the place in which the celebrations began. According to Magnum's Brand Manager Kaysia Johnson, patrons can look out for even better surprises and event for this year's anniversary. She said, "This year's anniversary will really reflect our theme for this year 'staying strong on top' so persons can expect only the best." Last year saw performances from the likes of dancehall's finest performers, such as Bounty Killer, Movado, Sizzla, Lady Saw, Spice, Ding Dong and I-Octane and while the performances haven't been announced as yet, persons can expect the same high quality that Stone Love is known for. When asked, why Portmore? Winston Powell Stone Love founder exclaimed “Because it’s Portmore for sure!” We’ve always received great support from the people in St. Catherine, so we decided to move closer to them. The atmosphere in Portmore is totally different, the sea breeze, the parking, everything. This calendar event attracts fans from as Far East as Japan, as far north as Canada, from Europe in the west and from Argentina in the south. Patrons are promised great party vibe on Saturday December 18 at the Coruba Beach Resort with Wee Pow, Rory, Geefus, Billy Slaughter, Diamond, Fyah Ras, Bill Cosby, Scarey Gary, Iceberg, D Pow and the newest member, Randy Rich. Saturday December 18 will be an unforgettable night for patrons, as they come on out to support and share in the 38 years celebration of Stone Love. Portmore will never be the same. Stone Love will finally return to its former home.